I've had a pretty solid no-daytime-makeup stance for years now—it just always felt like a nuisance to apply first thing in the morning. The layering, the blending, the brushing was too much for my groggy eyes to handle. Cut to a few weeks ago when 3Lab sent me their Aqua BB Cream ($100), a product I had no interest in trying. I had a firm stance on matte, full-coverage foundation, and BB cream never seemed to cut it. Plus, as someone with an oily T-zone, "glowy" face makeup felt like a disaster waiting to happen. I am here to tell you I was 100%, categorically, undeniably wrong. Let me start by saying I know it's an astronomically expensive product. But I would sooner pay double that price than ever give it up. Below, I explain why. After a facial that left me covered in scabs for seven days, I opted for this BB cream out of necessity before an industry event. I opened the compact, dipped my sponge into the creamy formula, and began carefully applying it to my face. This looks good, I thought, as I continued to blot and blend. I left the office with nothing else on, not a spot of concealer, mascara, or powder. When I arrived at the event, hoards of editors approached me about my skin. I was self-conscious at first because I was still healing from the aforementioned facial, but then blindly happy about my new favorite product. As the weeks went on, the comments kept rolling in. Everyone from a hairstylist's assistant at the shampoo bowl to friends to random passersby complimented my new glow. A fellow editor even said it looked like I had a "skin transplant" before jotting down the name of the BB cream in her phone. When I got home I began furiously researching the formula, wondering how and why it looked so good and lasted so long, how it could feel so light but still cover any flaws. Apparently, it's enriched with rose water for long-lasting hydration, soothes your skin with lavender oil, and provides shockingly lightweight color-correcting coverage (that even has an SPF of 40). It glides on so easily, looks dewy all day long, and covers any redness or lingering discoloration I've come to accept as permanent on my face. Now, I have no problem applying it when I wake up in the morning and even look forward to it when I fall asleep at night. 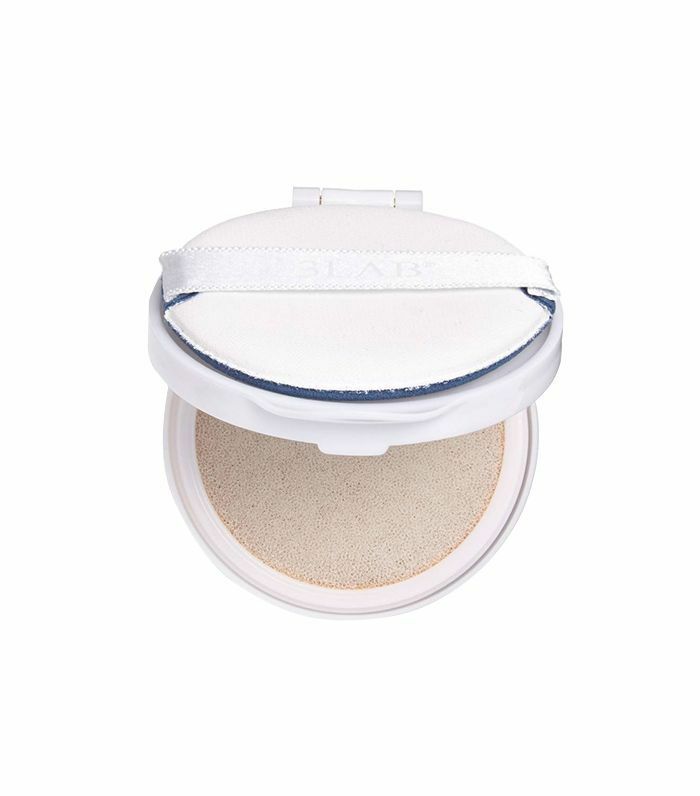 It keeps my face from looking tired and puffy, and the compact packaging allows me to blend on the go. It truly is a life-changing product and has revolutionized my stance on matte makeup. I'm over it. It glides on so easily, looks dewy all day long, and covers any redness or lingering discoloration I've come to accept as permanent on my face. My advice? Invest in Becca's First Light Filter Face Primer ($38) and apply it pre-BB cream. It has this unbelievable skin-awakening effect and maintains the look and feel of the products that follow for hours. Then, swipe on 3Lab's Aqua BB Cream ($100) and wait for the compliments to roll in. I like to mix shades two and three for a personalized finish. I could continue on about this product forever but I'll leave you with this: I just took this selfie in bad office lighting approximately five hours after applying the product and leaving the house in a rainstorm. FYI: These sunscreens won't break you out (we tried them).